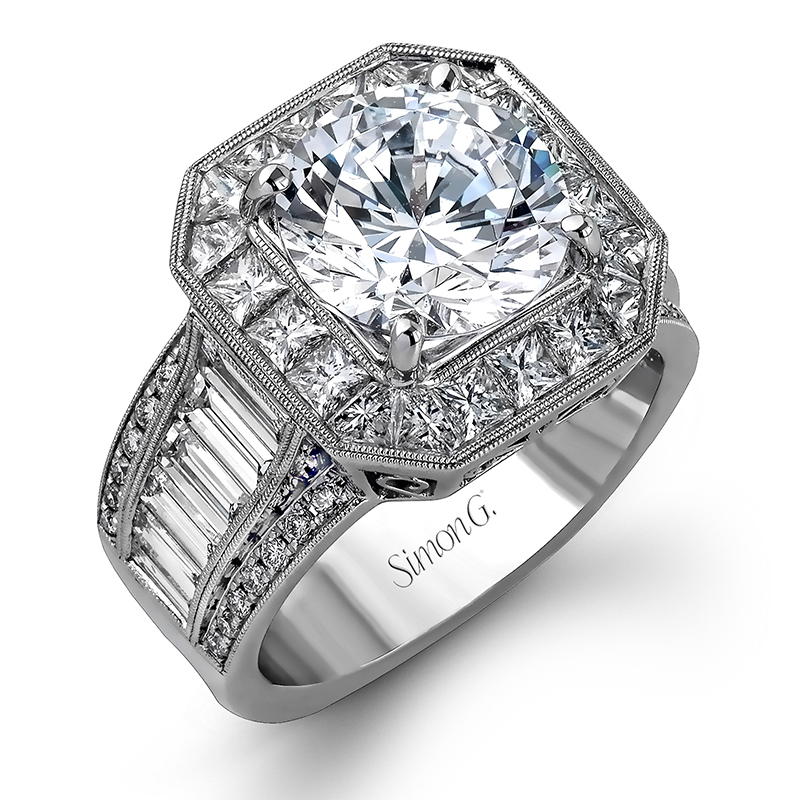 White 18 Karat Engagement Mounting Size 6.75 with 0.18tw Round Diamonds, 1.29tw Princess Diamonds And 1.76 twt Other Stones Center Diamond-Stone is Not Included - Sold Separately. Side Stone Carat Wt. : 1.94 ctw.